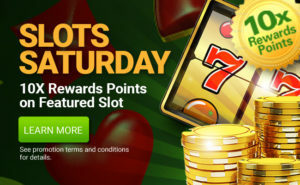 Real Money Play on the featured slot on Saturdays on the dates listed above in 2019 between 12:00 AM and 11:59 PM will earn ten times (10x) Rewards Points for that game. 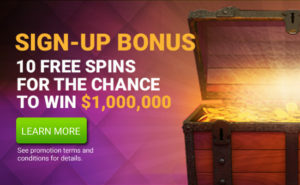 10X Rewards Points earned in the promotion will be credited to the players’ accounts in real-time on each of the Slot Saturdays when they play the featured game. 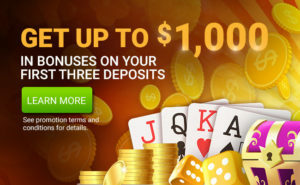 CanPlay Casino also withholds the right, at its discretion, to discontinue or cancel this promotion at any given time.